Recently received this submission from Jackie Lamb of Ferme Lamont in Quebec. The description that came with it was brief, but here you go: "These are some photos of an old tie-stall dairy barn converted into a sheep barn, housing 90 ewes. 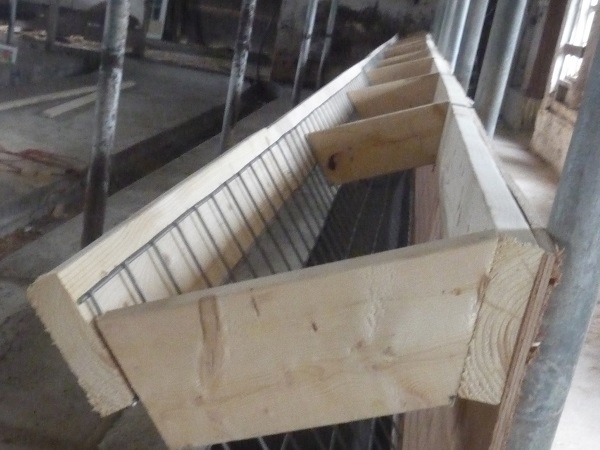 The troughs are designed to hold large bale hay flakes, (they should have been made wider), the best idea was the metal mesh: less waste and economical." These are some photos of an old tie-stall dairy barn converted into a sheep barn, housing 90 ewes. The troughs are designed to hold large bale hay flakes, (they should have been made wider), the best idea was the metal mesh: less waste and economical.